EVRAZ Oregon Steel is part of EVRAZ North America who are a leading steel manufacturer and produce more than 5 million tons per year of flat, long, and tubular steel products for major markets including infrastructure, defence, energy and rail. It is inevitable that at some stage a part will fail and a stoppage will occur. To recover from this as soon as possible, the right spare part should be available on site. Keeping essential spare parts on site will improve the availability of the motor and will minimise downtime and production loss in case of failure. Quartzelec were awarded the contract on behalf of Converteam Inc. to manufacture and supply spare parts for the DC Main Drive. Quartzelec were responsible for the design and manufacture of spares for a Steel Mill DC Main Drive motor, frame size 118/100, rated at 5,000 HP, 450 V, 8,800 A and 80/180 rev /min, including a wound armature, commutator and armature bars. They were manufactured to the same dimensions as the original, ensuring that they were both electrically and mechanically interchangeable with the existing original motors. The spare wound armature was designed and manufactured as a replacement for the original Metropolitan-Vickers motors manufactured in 1954. The armature spider is manufactured from a forged hub and stub shaft with welded on arms and a key bar is welded in the tip of each arm to locate the core laminations. A "Pollock" type commutator with rear mounted, fully encapsulated equaliser was manufactured, fitted to the end of the arms and machined. 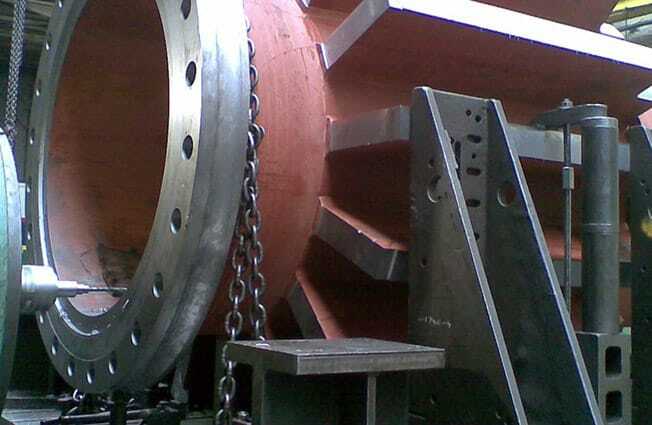 This winding is restrained at each end with steel wire banding. The armature winding and commutator risers have brazed connections. The armature was wound and insulated to a Class 'F' insulation system and on completion, the armature underwent a set of standard static tests. A universal 2,100mm diameter “Pollock” commutator with rear mounted, fully encapsulated equaliser was manufactured. This spare commutator was designed to fit either the Quartzelec designed armature or the original Metropolitan-Vickers On completion, the commutator was fully tested and machined. A complete set of armature bars were designed and manufactured. They were fully formed and insulated using a Class 'F' system throughout and on completion, the coils were fully tested. Upon completion, the spares were packed for long term storage and shipped to Portland, USA.